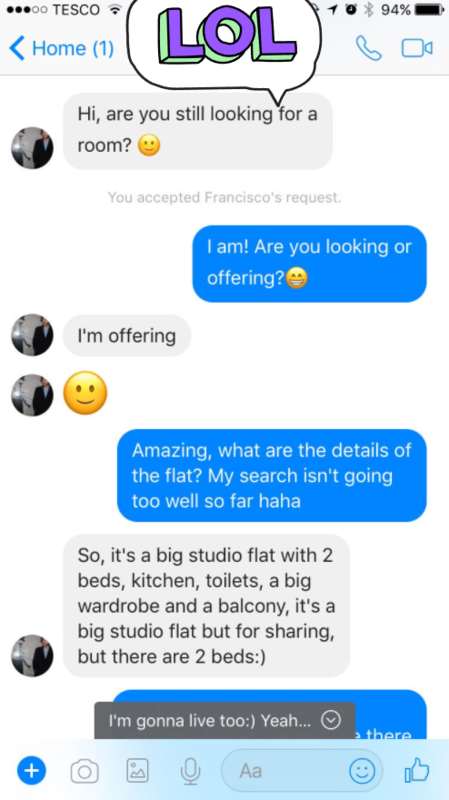 Flat hunting can be a pretty daunting task, and having to find a complete stranger to live with can be bizarre. Well, Erin Clark from Edinburgh found out the hard way that strangers you meet over the internet can be pretty creepy. So far it's going okay...normal niceties. Although, it's a bit weird that two complete strangers will be sharing the same room just with two separate beds? That already seems weird right? It's pretty creepy, however I'm also concerned for Erin that she was willing to share a studio room with a complete stranger in the first place. He's offering to wash your feet, woman. Go for it. 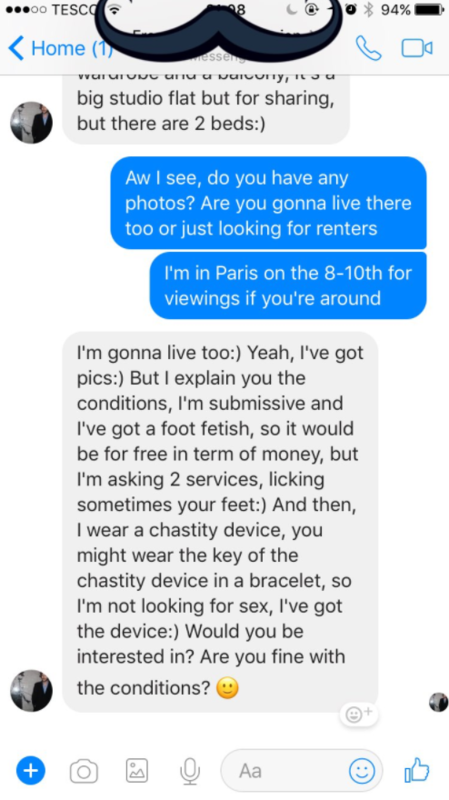 If you think that is weird, look at the text this guy received from his Airbnb host here!